Well Duck in the singular. 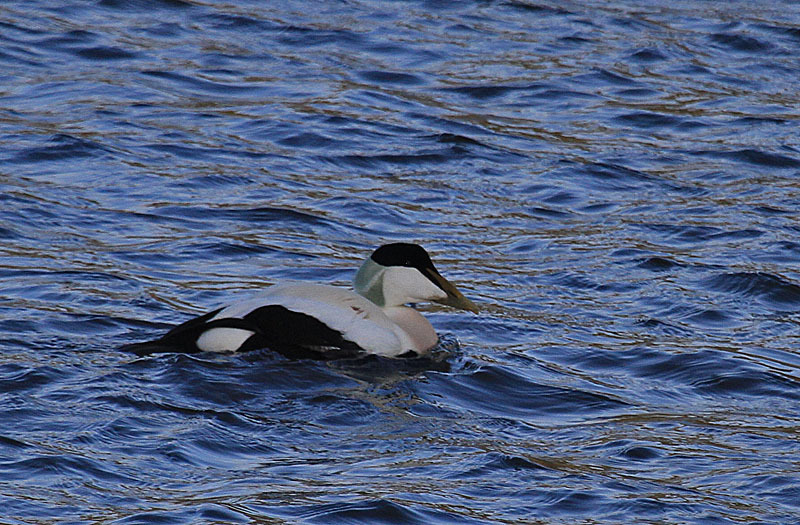 Went in search of a lonely drake Eider on Rudyard lake in North Staffs. Again a lovely area to explore with the moors and wooded valleys not far away. Met up with Graham Mant who wanted to lead me to a secret spot for Dipper watching after viewing the Eider. Trouble was, it was so secret Graham couldn't find it. So once again I dipped on Dipper. It started to snow a bit so I left Graham to search the moors. 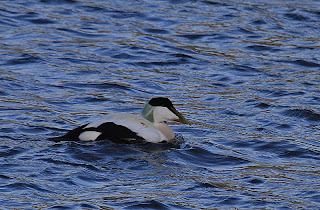 I hope he finds his way back OK. As to whether the Eider is real or not I wouldn't like to say. The only other one I've seen inland was on a small lake in Worcestershire. They very occasionally do turn up in the Midlands but I'm still waiting for my first Warwickshire Eider. Next time you venture to the posh side of Staffordshire call in for a coffee .